For example, all that really matters is consistency with measurements, and the mirror. Estimated bodyfat: 15 - 18%? Estimated bodyfat: 12 - 15%? Estimated bodyfat: 10 - 12%? It's kind of a weird comparison too because 40% through 20% is some schlub taking a selfie with a potato, 15% on down is clearly professional photos with good lighting, posing, and maybe some makeup. 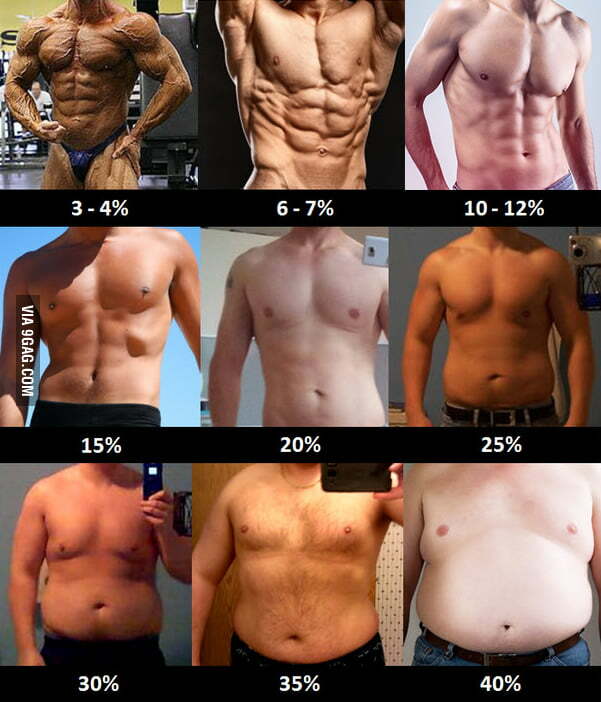 I was guessing the first image was ~5-6% bf and not 3-4%. But what the heck do I know, might be true. Here's a good question, Lyle maybe you have the answer to this. I see this chart floating around the internet in various places. Where do these numbers come from? Hydrostatic weighing? Last edited by alcahuetej : 07-31-2014 at 05:14 AM. Probably. 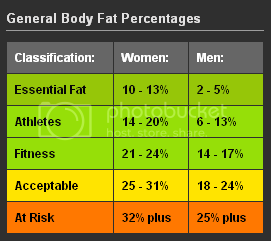 If you read the article Body Composition Numbers on the main site, you'll see that tehy are more or less identical to what I state there. Just now seeing this thread. I had been using the same visual reference sheet from another site. Do you know where it came from and if it is royalty free? I can't recall where I saw or found it or if it's in the public domain.